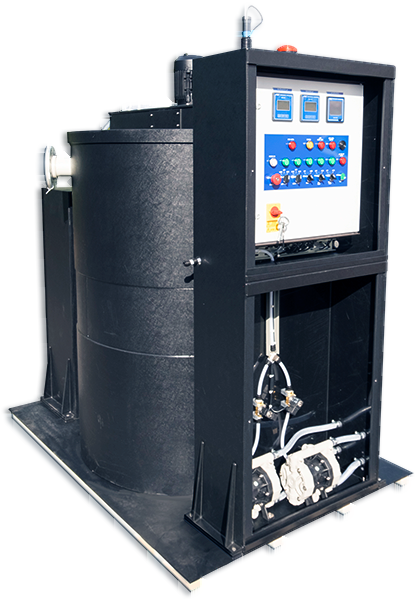 Automated Water & Effluent Ltd. Since 1982 Automated Water & Effluent Ltd have continued to supply instrumentation, dosing and control equipment for use in the Process Control, Water Treatment, and Effluent Treatment sectors. Our website features information on our range of products designed for process control, water treatment and effluent treatment professionals. As well as our measurement and control equipment products we also offer a full range of packaged solutions, from simple combination back plate and manifold systems, stand alone dosing skids through to designed and built solutions for multi-parameter process control applications - please take a look at our Services section for more information. Since our foundation in 1982, we've continued to develop and evolve our range - so if there is a specific product you're looking for but can't find on our website then please don't hesitate to get in touch by calling our knowledgeable sales team on 01785 254 597. You can also request a catalogue and price-list when speaking to one of our sales team on 01785 254 597 or by requesting a catalogue online. With a commissioning visit from our service engineers to ensure that the system was fully operational as agreed with our customer. We will use the information you provide to send you a catalogue. We will give you the option to subscribe to our email newsletters. Would you like to receive our email newsletter including The Watermark? The P7687 is a powerful pH controller which offers full PID control of compatible devices, such as chemical dosing pumps, for controlling pH in process applications. New in our knowledge base section is our interactive guide to the pH scale - a useful reminder on how different pH values relate to common chemicals. We've launched our new tool the Chemical Compatibility Checker - our tool allows you test the chemical resistance of commonly used industrial materials, search by chemical or by material.